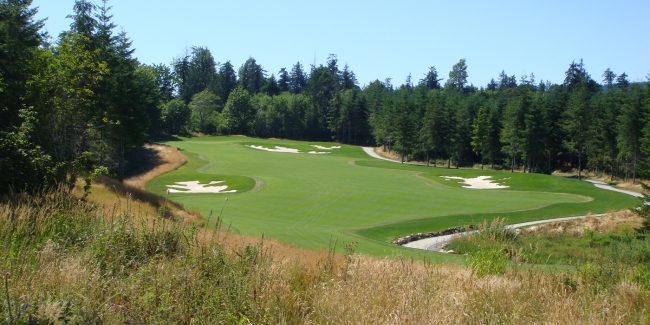 Three Washington courses that must be on your bucket list. Most golfers are not likely to understand, much less appreciate, what a Salmon-Safe golf course is, probably because there is only one course in the world that has earned this distinction: Salish Cliffs Golf Club, 15 minutes from Olympia, Washington and 70 minutes from Seattle. What golfers should know is that the Squaxin Island Tribe, the owners of the course, and Gene Bates, the course designer, have created a brand-new stellar track that impacts the environment as minimally as a golf course can. In other words, golfers who tee it up on this gorgeous brute (the tips stretch to almost 7,300 yards) will encounter numerous vistas, plenty of elevation changes and countless challenges, and they can experience all of them guilt-free. Whether they will feel as guiltless about the money lost ... or, um, won ... in the Little Creek Casino Resort depends on how well they rationalize. Located in Tacoma, The Home Course is such an enriching experience that upon completing their rounds golfers will feel that they not only have played an outstanding course but also that they have traipsed through various historic eras. For example, the first hole-a solid 406-yard par 4-introduces golfers to apple trees that were planted by Hudson's Bay settlers in the 1830s, the remnants of Fort Nisqually and a settler and Native American burial ground. In other words, golfers should focus on their games but remember to look around. The Home Course delivers such quality golf that it will host the 2014 U.S. Women's Amateur Public Links Championship, so the history lessons are an added bonus. The awards, accolades and distinctions that Chambers Bay Golf Course, in University Place, outside of Tacoma, has earned are abundant and prestigious enough to satisfy any long-established, tradition-entrenched resort. 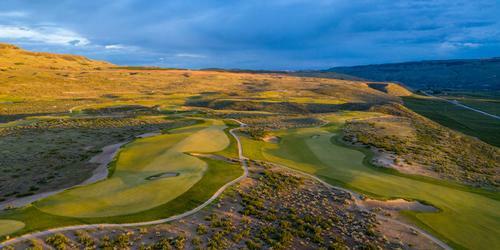 Chambers Bay Golf Course, however, was only completed in 2007, and yet it will host the 2015 U.S. Open. Yes, this Robert Trent Jones Jr. upstart, which transports golfers to Scotland without the use of a passport, elbowed aside big-name courses to secure the most prestigious tournament in June, so golfers can test their bump-and-run games on the same swales and mounds that Phil and Tiger and Bubba will. Golfers must enjoy the links game to appreciate the genius of this course's design, but if they do, Chambers Bay will likely rate at or very near the top of their list of favorite courses.